The atmosphere at the over 15,000 seater Fantasy Dome was one for the books. Long unwinding queues by attendees from all classes greeted everyone who arrived at the venue to jam the night away. As uncomfortable as the queues were, the security personnel at the venue made sure that everyone was calm as they waited for their turns. Whiles the attendees were still sorting out their turns at the gates, DJ Nii Aryee was making sure there was no dull moment inside the dome itself. The Starr FM DJ had everyone in their party groove and jamming to his selections whiles the crowd outside was taking turns to get into the Fantasy Dome to party the nightlong event away. Turns that would usher them into a dome of blissful party-like performances they would have thought; how wrong they were. How wrong the expectant crowds were. With the huge turnout that the 2018 Ghana Meets Naija received the performances dished out by the artistes was disappointing. Take away the glaring hitches with the sound, take away the microphone’s glitches also and you would still be disappointed with the performances by the artistes. The West African concert opened with saxophonist, Mizter Okyere playing his instrument over some popular hip-hop beats. The performance by the Mizter Okyere was filled with great energy and super melody syncing. Nana Yaa followed next to officially open the show with her rendition of the national anthems of Ghana and Nigeria. Elegantly dressed, the woman power singer drew loud applause from the delighted packed audience. Expectations went up, everyone was eager to see who was next and up stepped the first of the BAM Allstars, S3fa. The lights were dimed off and up she stepped standing behind a microphone S3fa started to sing. She sang for some few seconds before everyone realised she had actually started her performance! The microphone wasn’t working! It came on and went off, the microphone was upstaging the BAM AllStar. The beautifully dressed singer started to make gestures, gestures which everyone understood clearly, the mic was hiccuping. S3fa, however, did immensely well to finish her performance without any verbal complaints as she left the stage for the next BAM AllStar; Kobla Jnr. Oh, how wrong Kobla Jnr was if he thought the microphone wasn’t going to mess up. The rest of the BAM AllStars followed with Dahlin Gage and Wisa focusing more on their dance moves than actually speaking into the microphone, probably to deny the microphone from usurping their night. Freda Rhymz came, performed and left us with a bizarre memory. The ‘Jammin’ rapper was done with her performance before a major prop for her performance made its way on to the stage; her throne chair. Well, the throne carriers had to send it back not without everyone having a hearty laugh. 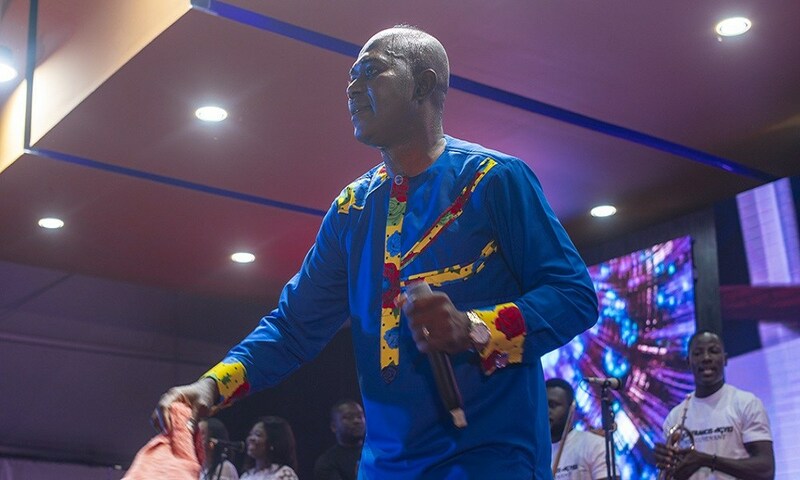 Kurl Songx and Obibini had moderate sessions with A.I’s appearance on stage with Obibini being the best thing about the Zylofon Music artist’s performance. The man behind the lighting system may have been too caught up in A.I’s short cameo such that he thought over beamed us with lights. Now it was this performance also that started to highlight the deficiency with the event’s sounds. Fancy Gadam had a feel of the relatively poor sounding system during his rather boring performance. The 2018 VGMA Most Popular Song winner sequence of song performance was bad and this led to most people becoming disinterested with whatever he was doing on stage. Maybe it was because they didn’t understand the language he was singing in. Just maybe. Not Sista Afia though as she came on stage with a universal language that sang more songs beyond her voice. Her choice of outfit coupled with her regular random male fan treat was a delight to many. Did you know Sista Afia’s first ever song was a gospel song? After that eye-glueing performance, Jay Foley welcomed the first lady of Sierra Leone, who was in the country, to the event. This acknowledgement was followed a performance by the KME All Stars from Sierra Leone. The KME All Stars team who had the biggest songs in 2017 went about their stuff admirably with such coordination. Up next was what defined night. A performance that stands as the topmost performance of the 2018 Ghana Meets Naija from the artist who 12months ago that stage would have just been a dream. Patapaa (aka Patapeezy) took everyone on a ride that lasted a little beyond 10minutes but felt like an hour filled energetic ride. Patapaa bodied the event, he took ownership of it forgetting there were “bigger” artistes to come after him. The man of the moment was on fire! his entrance, meandering movements, timing and energy was all that event was meant to be. Such was his energy that he first took his robe off, took his NBA jersey off and stopped singing to just dance off his songs. This was Patapaa’s territory and we were his subjects. Barely have you witnessed a performance were the song being performed was auxiliary to the on-stage theatrics of the artist, a rare happening that only Patapaa could do, only Patapeezy! What followed after that energy sapping Patapaa revolution was drub performances from Danny Beatz, Kuami Eugene, KiDi and Mayorkun. A Kuami Eugene and KiDi performance without “menti o menti” and “ɔsi dɛn” is impossible. If only the two knew how depressing those two sentences were they would have stopped repeating themselves. Ponobiom (Yaa Pono) took his biggest stage yet firmly into his hands by starting off strongly only to fade away getting to the end. If his ending was boring, Dice Ailes was the opposite as the Nigerian artiste brought on stage Kwesi Arthur and Medikal to perform the Vision DJ Ghana remixed version of his Otedola song. 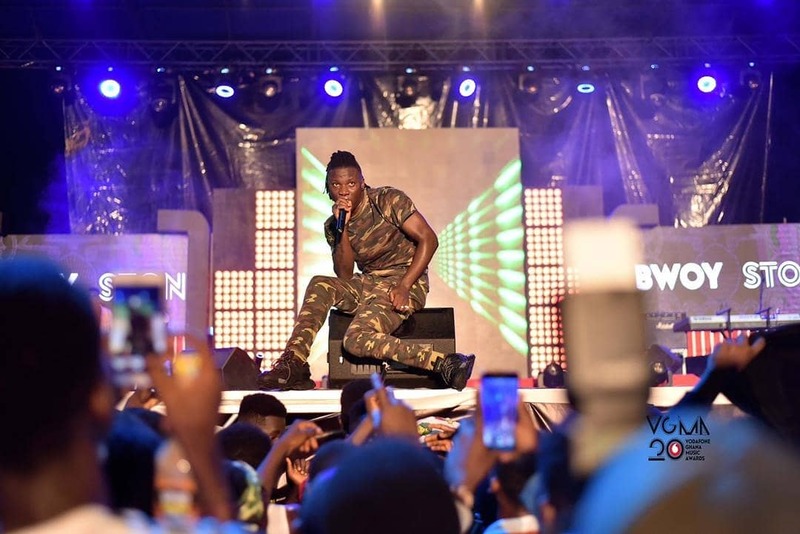 The crowd enjoyed it and yearned to be excited again in the same manner as Patapaa did but where they? Sad to say no, they weren’t. King Promise disappointed with the most memorable thing about his performance being the choreography he did whiles Stonebwoy wasn’t syncing with the band which made him resort to acapella singing. The showing had now passed its breaking point with its disregard for time and also its proof that live band was not for everyone. The time factor had a major influence on Mr Eazi’s performance. The ‘Leg Over’ singer had the shortest time to perform amongst all the main artistes. 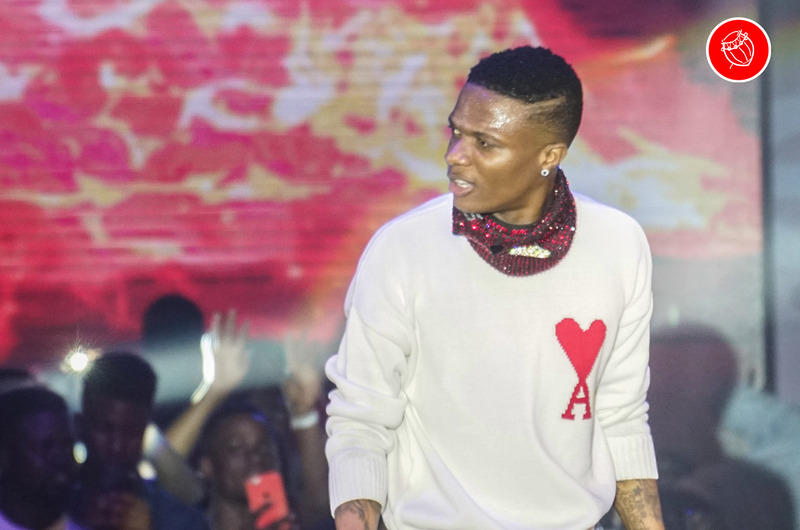 This was obviously to make way for Wizkid who came onto the stage with the clock hitting almost 4 am. The reception for Wizkid was of the roof and he later got the loudest cheer of the night when he brought Shatta Wale on stage. All in all, the 2018 Ghana Meets Naija revealed major lessons for the organisers, gave another stamp of excellence to the Fantasy Dome and above all proved that Patapaa is the biggest artiste in Ghana now.